Today, the Royal Shakespeare Company announces that its multi-award winning production of Matilda The Musical will embark on a UK & Ireland tour in 2018-2019. 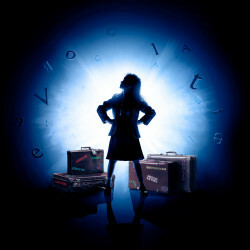 Winner of 85 international awards, including 16 for Best Musical, the RSC’s touring production of Matilda The Musical will open at Leicester Curve, playing from 5 – 24 March 2018, followed by Dublin Bord Gais Energy Theatre (4 – 28 April), Sunderland Empire (8 May – 2 June), Milton Keynes Theatre (5 – 30 June), Birmingham Hippodrome (3 July – 8 September), Manchester Palace (18 September – 24 November) and Cardiff Wales Millennium Centre (4 December – 12 January 2019). Tickets for Leicester, Dublin, Sunderland, Milton Keynes, Manchester and Cardiff will go on sale to the public on 26 April following a priority booking period between 19 and 25 April. Tickets for Birmingham go on sale on 9 May, after a priority booking from 25 April to 8 May. Further dates and venues are to be announced in due course. The West End production continues at the Cambridge Theatre, currently booking until May 2018.